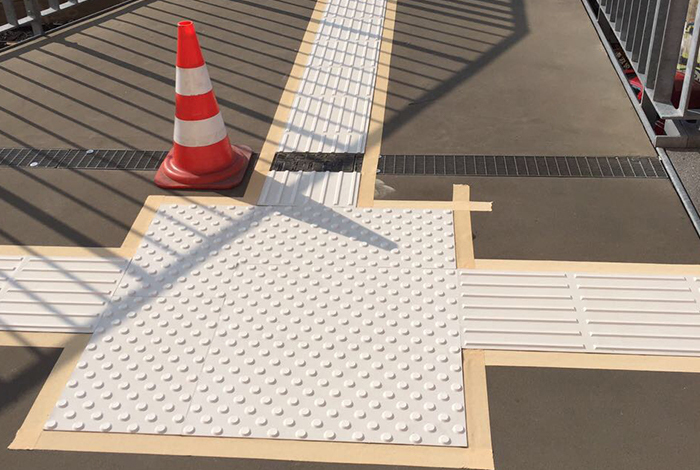 "EUROTAC tactile guidance systems are an essential contribution to make public space barrier-free and better accessible for the handicapped, thus improving the quality of life and mobility of the blind and visually impaired." How can train station platforms, waiting zones at zebra-crossings, walkways and corridors in buildings easily retrofitted with a tactile guidance system for the visually impaired? SWARCO answers this question intelligently with EUROTAC. of life. EUROTAC provides longitudinal and transversal orientation, guidance and warning, as for instance at pedestrian crossings or tram and bus stops. 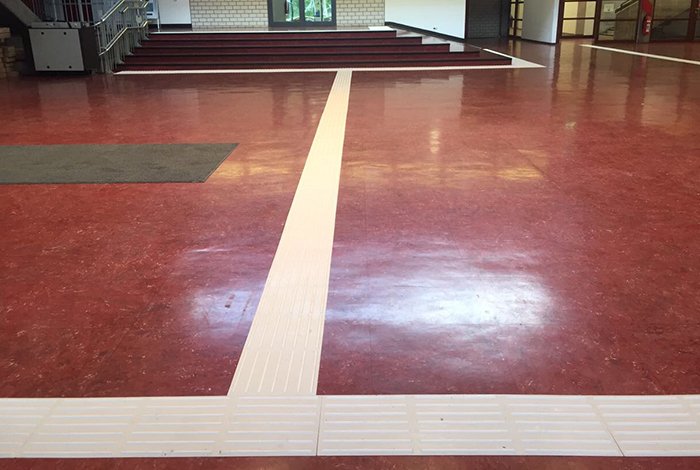 The flawless production quality and the perfect design of EUROTAC allow it to be used not only in public space but also in buildings on smooth and high-quality flooring, e.g. on granite or marble. Single color tactile markings are produced in a variety of colors upon request which give great contrast when applied on a certain surface.